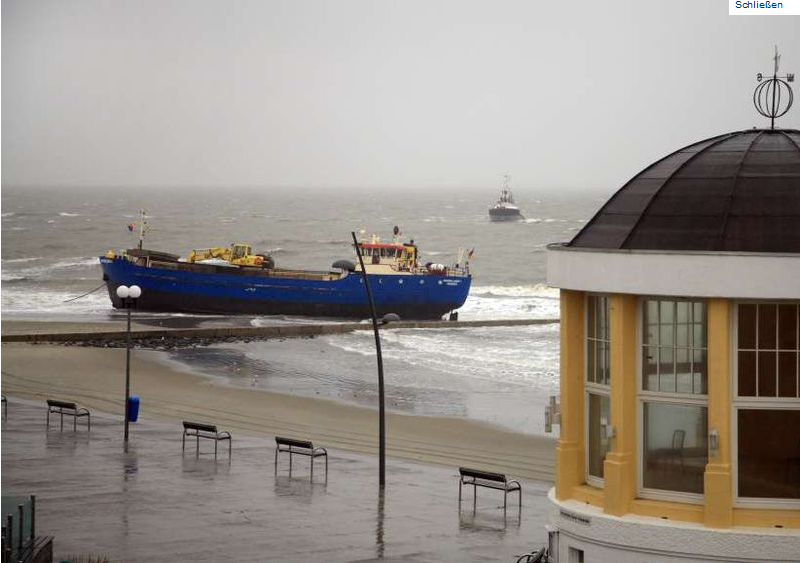 The 67-metre long motor vessel Nordland 1 went ashore on the island of Borkum, Germany in the North Sea. 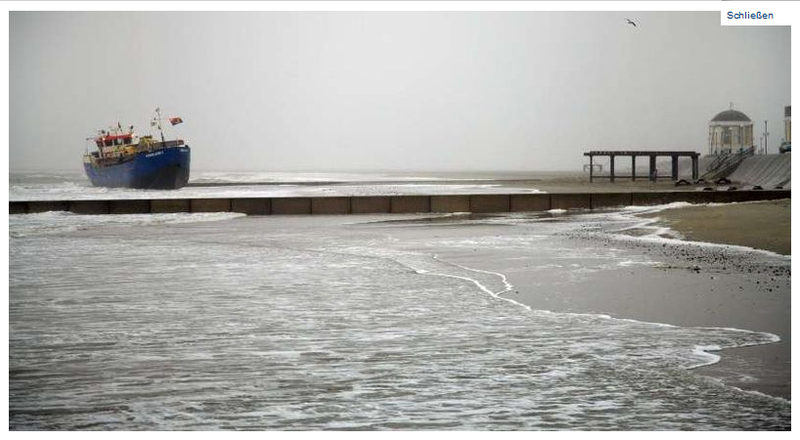 The Nordland 1 encountered strong winds and heavy seas before going ashore. Reports state that vessel will try to release itself at high tide or call for a tug to pull the Nordland 1 to deeper waters.